Don’t let your event hide in the shadows! 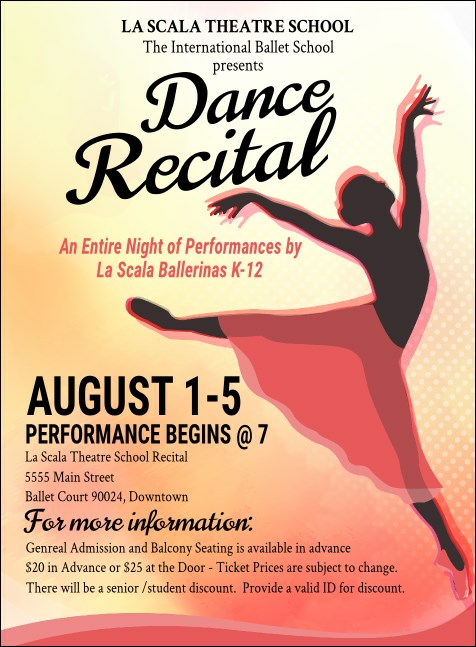 Send out Dance Silhouette Invitations and advertise your performance event in advance. Leap toward great ticket sales with Invitation templates that feature a pretty pink and yellow blended background and a slender silhouette of a graceful dancer holding a ballet pose. Take the next step with TicketPrinting.com.